Joe Gail Graham, 90, of Tuscola, passed away on Tuesday, January 20, 2015 in Abilene. Visitation will be from 5:00 to 7:00 p.m. on Wednesday, January 21, 2015 at The Hamil Family Funeral Home, 6449 Buffalo Gap Road. A family burial will be held at a later date. Joe was born in Tuscola to John Earl and Luna Annie Higginbotham Graham on May 22, 1924. He graduated from Tuscola High School. He and his brother Jimmie joined the Merchant Marines after graduation. Upon completion of their service in the Merchant Marines, they joined the Army. In 1951, the twins moved to Tulia, Texas. 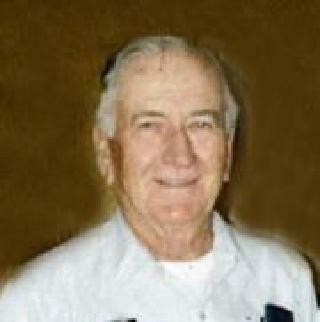 He was a charter member of VFW Post 1798 in Tulia. He and his brother owned and operated The Plantation for a number of years while farming in the area. Upon their retirement in 1991, they moved back to Tuscola. Joe was preceded in death by his parents; his sisters, Dorothy Bilbrey and Annie Dunnam; and his brothers, Earl, Bill, Ed, Robert, and his twin brother, Jimmie Graham. Joe is survived by nephews, Gary (Sharon) Dunnam of Victoria, and Barry Dunnam of Big Spring, several great nieces and nephews and a host of friends and family. Pallbearers will be Mike Pueschel, Darrell Cross, Brady Joe Hooper, Timothy Biggs, Jeremy Biggs, and Bailey Wilson. The family of Joe Graham wishes to extend our sincere thanks to Hendrick Hospice Care especially Lecia Adams, and the staff at Windcrest Alzheimer's Care Center for their loving care.